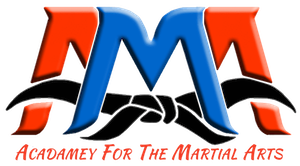 Academy For The Martial Arts – We Are On A Quest To Be Our BEST! Why Academy For The Martial Arts? We have a trained staff of patient instructors who love to work with children and adults as well, and we are very clear about limits. We enforce good rules of behavior in class and we expect the same good behavior at school and at home. Academy for the Martial Arts offers traditional martial arts programs. All of our programs will help you with strength, agility, balance, flexibility, coordination, and a great cardio vascular workout as well! Get all the benefits of being in great shape and learn how to defend yourself too! At Academy for the Martial Arts, everything we teach is reality based. Our instructors work hard to insure that most any situation you might encounter is covered in the classroom under safe learning conditions so you will be prepared.